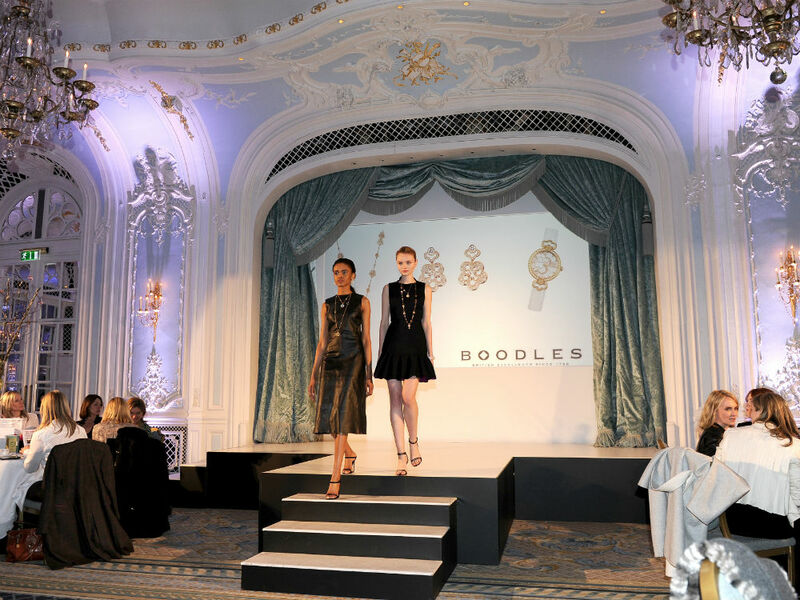 A spring trends fashion show by TheOutnet.com was the highlight of a perfect afternoon of shopping, champagne and afternoon tea at the Savoy ballroom earlier this week. 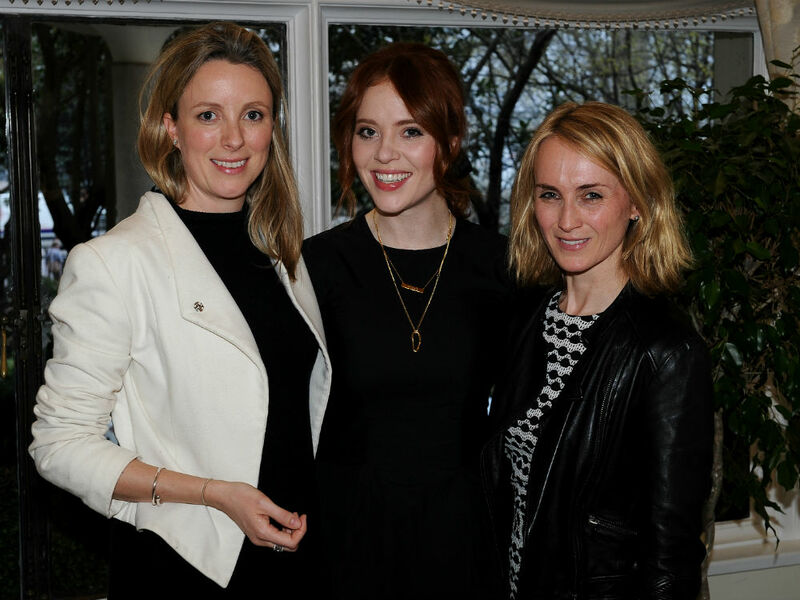 Hosted by TV fashionista Angela Scanlon (who rocked a chic little black dress by her friend and rising London Fashion Week star Danielle Romerill), the event was in aid of children’s charity Rainbow Trust, which supports the families of children with life-threatening, and terminal illnesses. The style experts at designer outlet The Outnet showed the audience of 200+ fashion fans how to work four of spring’s biggest trends – hyper florals, monochrome, seventies, metallics and shine. With brands including Christopher Kane, Lanvin, Peter Pilotto, Jonathan Saunders and the Outnet’s own label Iris & Ink, the looks wowed the crowd and there was plenty of inspiration for fresh wardrobe updates. The afternoon started with a pop up boutique, featuring fantastic fashion, jewellery and beach wear brands, including bespoke shoe designers Upper Street and Snow Finel’s ski hats and jumpers. And as guests nibbled on cucumber sandwiches, spread jam and cream on their scones and devoured rainbow-inspired cakes, Angela got everyone salivating even more with auction prizes including bags by Chloe and Michael Kors and Cartier watches.